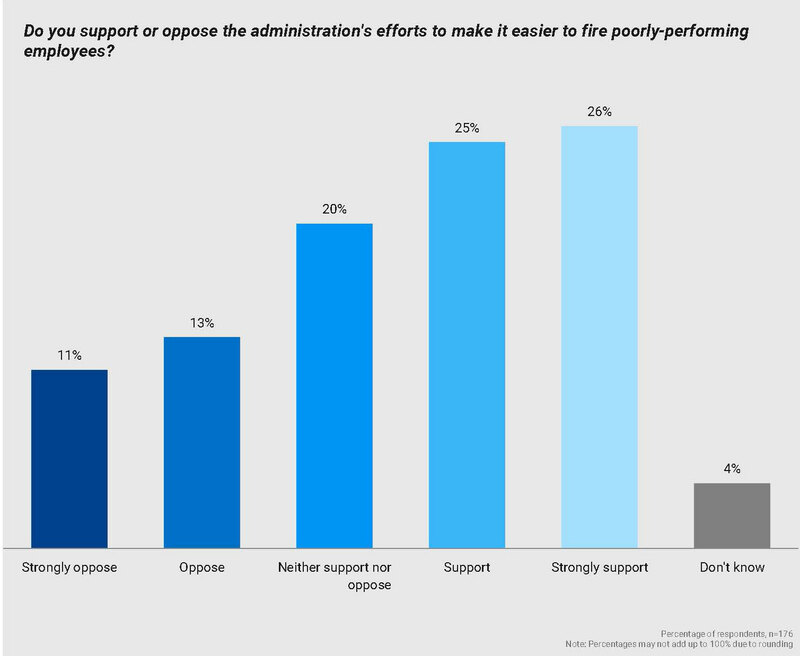 A slim majority of federal civilian employees support the Trump administration’s efforts to make it easier to fire people, according to a new poll, but the employee groups that oppose the firing initiative also have strong backing. A flash poll conducted by the Government Business Council, the research arm of Government Executive Media Group, found that 51 percent of federal workers support or strongly support making it easier to remove poorly performing or malfeasant employees. Another 24 percent oppose such efforts, while 24 percent said they were neutral or didn’t know about the changes. Last month, President Trump signed a series of executive orders aimed at civil service reform, which streamline the firing process across government, remove firings and adverse personnel actions from eligibility for grievance and appeal processes, and seek to curb federal employee unions’ ability to negotiate with agency leadership or represent workers. The edicts drew swift opposition from federal employee groups. Since Trump signed the orders nearly two weeks ago, two lawsuits have been filed to prevent their implementation, and more could be on the way. 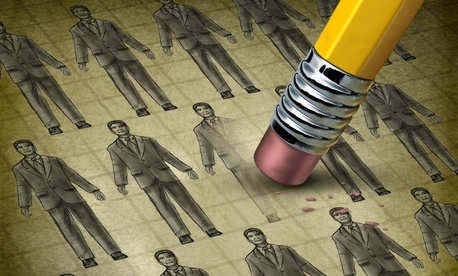 Outside observers have given the changes mixed reviews, questioning whether the firing order would be effective in improving performance management across government and arguing that pairing it with the changes to labor-management relations could prevent a consensus from emerging on broad civil service reform. Despite a majority supporting the firing initiatives, 42 percent of respondents said they had positive or very positive opinions of unions. Those figures line up with a GovExec/Government Business Council poll last year, when the same percentage of feds reported a positive opinion of unions. But the number of people with negative opinions about federal employee unions has fallen sharply in the last year. Only 25 percent of respondents this week reported a negative opinion of unions, compared with 36 percent in 2017. The portion of feds who reported neutral feelings toward federal unions grew from 23 percent in 2017’s poll to 30 percent this month. The flash poll was conducted on June 5 and 6. There were 176 respondents, all of whom were federal employees. The survey has a margin of error of plus or minus 7 percent.